﻿ How To Chose The Good XFP transceiver? How To Chose The Good XFP transceiver? As we know, the price of the original XFP transceiver is rather expensive, many manufacturers can only be discouraged. As for second-hand XFP transceiver, although it’s price is relatively low, the quality can’t be guaranteed. It often will be abnormal after six months in use. Therefore,many manufacturers have turned their attention to the compatible XFP transceiver. Indeed,the performance of compatible XFP transceiver is almost the same as the original XFP transceiver. While the price is several times cheaper than the original XFP transceiver.This is also why the compatible XFP transceiver are so popular Currently .However, the quality of goods is not easy to identify, so the customer got some bad one , it hurt the customer deeply. In order to protect the benifits of the customers and friends, Here Fiberland will share with you some details about the way of selecting XFP transceiver. The first question,how do we distinguish between new XFP transceiver and used XFP transceiver? Second-hand XFP transceiver will happen some issues after six months or one year. The reason is unstable optical power and the decline in the optical sensitivity and other matters. If you have the Optical Power Meter, you can check the output power whether meet the specification. If the difference is too large, it maybe chose the second-hand XFP transceiver. Then observe the working status after selling. The service life of a normal XFP transceiver is 5 years,it is very difficult to see the XFP transceiver is good or bad in the first year,but it can be seen out in the second or third year of use. 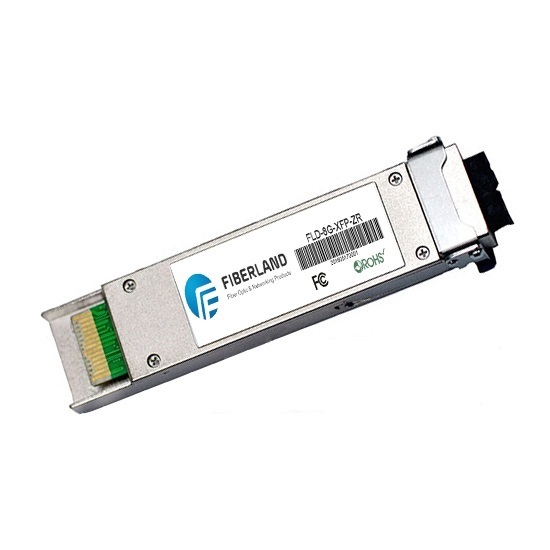 Here, Fiberland can guarantee that all XFP transceivers we supply are guaranteed for 3 years. If it appears the non-human damage performance fault within warranty period, we can provide free repair/replacement to solve your worries. And then see the compatibility between the XFP transceiver and device.Customers need to communicate with the suppliers before the purchase,tell them need to use the device on which brand. In order to ensure that customers can buy the XFP transceiver with good performance, Fiberland will conduct a variety of tests for all compatible XFP transceivers before shipment, including Material testing, Product parameter testing, Distance testing, Switch compatible testing and Burn-in testing, it will be good for guaranting its compatibility and operability. Finally,we also need to see the temperature adaptability of the XFP transceiver. When the module working will cause a little heat, but not so hot. Its general working environment is in the date center or on the switch. The temperature is too high or too low will affect its optical power, optical sensitivity and other parameters. Generally the temperature range of XFP transceiver is at 0~70°C. If extremely cold or hot environment, we need to use the industrial XFP transceiver at -40~85°C. Fiberland will guarantee the the stability of the industrial products from the requirement of the hardware, Physical cooling and Temperature compensation software. If you found that the function of XFP transceiver is invalid in the processing, don’t worry, be careful inspection and analysis the specific reasons. 4)The bad optical connector will lead to problem too. Therefore,after the proper selection of XFP transceiver,you also need to pay attention to the cleaning and protection in all of the processing. After the installation, put the dust cap when there is stop working. Because if the optical port is not cleanning, it is possible to affect the quality of the signal, and may lead to LINK problems and error problems.